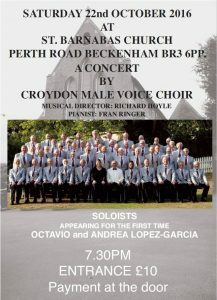 On Saturday 22nd October at 7.30pm, St Barnabas hosts the Croydon Male Voice Choir. Tickets are £10, available on the door. 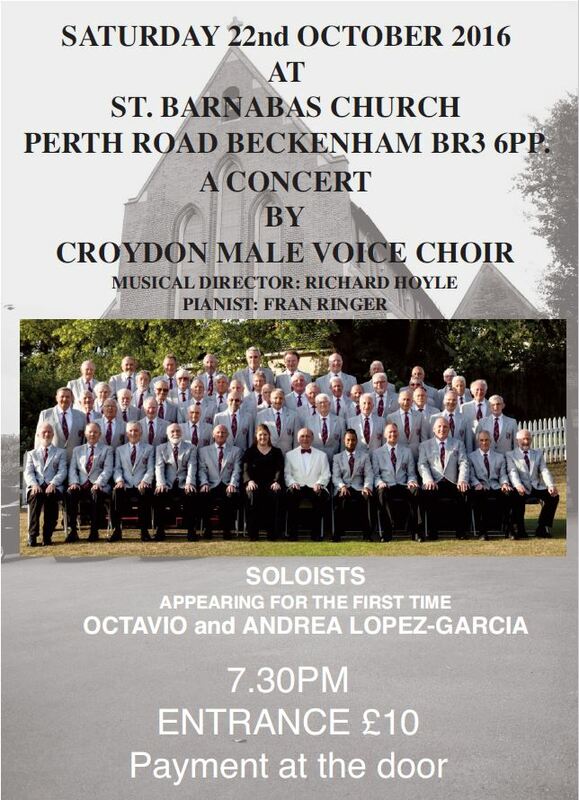 For more information contact enquiries@stbarnabasbeckenham.org.